Maybe Congressman Jared Polis and former Congressman Tom Tancredo have more in common than originally thought. The complaint when Republican Tom Tancredo was vying for a spot on the GOP gubernatorial ballot was that he had just enough support to get on the ballot, but would hit a ceiling once there. Just over a month ago, the big surprise was that Democratic gubernatorial candidate Cary Kennedy crushed the caucus straw poll, topping her fellow Democrat and presumed frontrunner Jared Polis 50-33 percent. If we were Team Polis, we would have taken a hard look at what led to this unexpected and crushing defeat in March and shifted course. Either Team Polis did no such thing or the campaign tried to shift course and it didn’t work. Today, Kennedy took 61.6 percent of the vote and Polis took just 33 percent again. Is the Polis ceiling really about 33 percent? None of this bodes well for Polis. 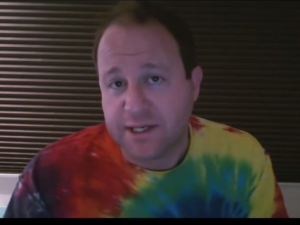 Will Polis be the David Trone of Colorado? Trone, also a Democrat, spent $13 million of his own money on a primary to lose to the eventual winner, Jamie Raskin, by six points. Is there a point at which Polis’ money is no longer effective? Either way, we have to wonder whether Polis lost his frontrunner status after today’s poor showing. Is Kennedy the woman to beat now? If so, that bodes well for Republicans. Kennedy already lost once to State Treasurer Walker Stapleton. We doubt a rematch between Kennedy and any Republican would have a different outcome.